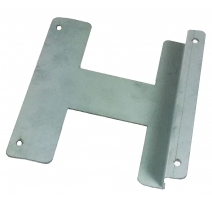 Supplied in a finger-protective cage to VDE 0100-410. 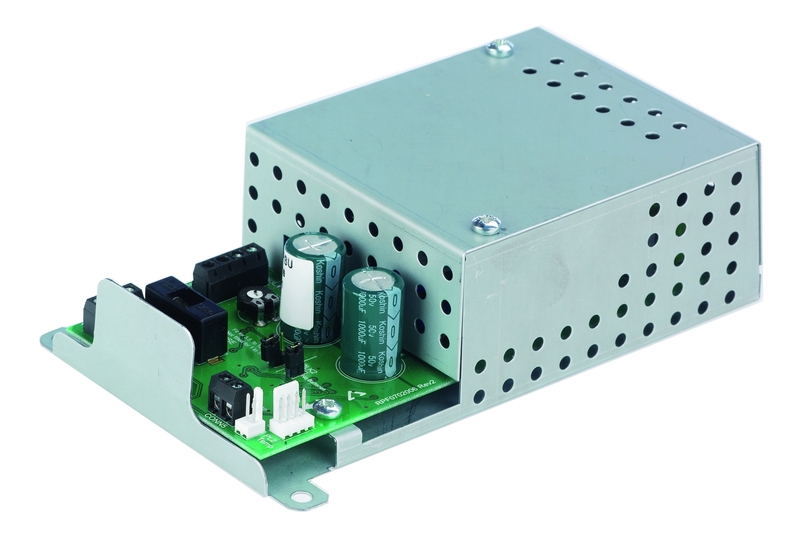 Includes the same electronics as our BF360-24 VDS certified EN54-4/A2 boxed 24V 1.5A PSU. 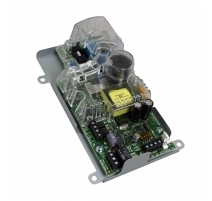 Ideal for use in OEM enclosures for powering beam detectors, auto-dial communicators, aspirating smoke detectors, auto-open vent systems, auxiliary sounder systems or any other device performing a mandatory function of a fire alarm system. 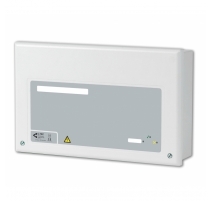 Deep discharge battery protection and EN54 compliant reporting of battery impedance faults. 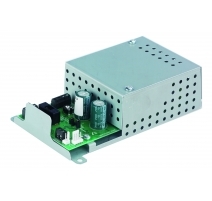 Includes a single-pole volt-free changeover relay that switches for any fault condition. 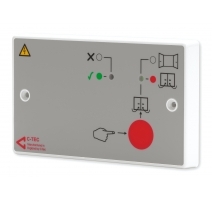 Three LED indicators - supply present, general fault and auxiliary fault (for optional connection to third-party equipment). Link selectable battery charging capacity. Environmentally-friendly charging circuit - dissipates just 0.35W compared to the industry norm of 2.55W. Optional 'PCB-only' version available (order code BF360-24/C). 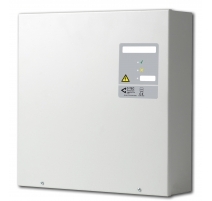 Approvals/certifications Includes the same electronics as our EN54-4/A2 VdS certified BF360-24/E PSU. 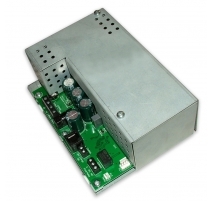 Application/operation A caged Mains to regulated DC power supply providing 1.5A @ 24V DC for mounting in OEM enclosures. Full compliance with all relevant standards must be checked by the responsible person with the caged PSU installed in a suitable enclosure. 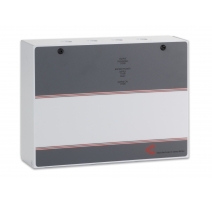 Total output current limited to 1.5A (Max. continuous output current). Output Option A: 1.3A DC current; 0.2A charge current. Option B: 0.8A DC current; 0.7A charge current. 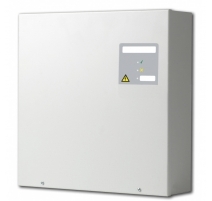 Battery charge capacity 2 Ah to 12 Ah. Indicators Supply Present (Green); General Fault (Amber); Auxiliary Fault (Amber); Hazardous Voltages Present (Red). Connections Mains Input (CONN1); Supply Output (CONN3); Battery Input (CONN3); Fault Relay (CONN4); Charge Off Input (CONN5). 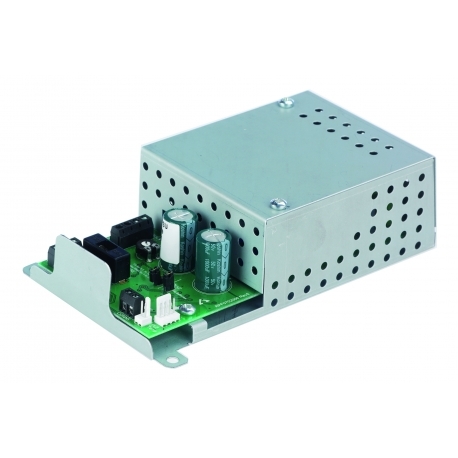 Battery Charge Current Link (PLK1); Battery Monitoring On/Off Link (PLK2); High Temp. Output (PL2). Product dimensions (mm) 117 W x 174 H x D 54mm. Construction & finish Zintec cage. 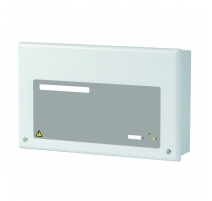 IP Rating Dependent on mounting enclosure. 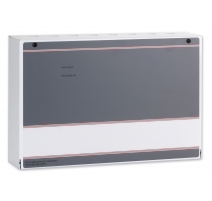 Notes The BF360-24/E must be installed in a suitable enclosure (not supplied) which must withstand the operating conditions of the PSU. Adequate ventilation must be provided and component temperature limits must not be exceeded. See main instructions.